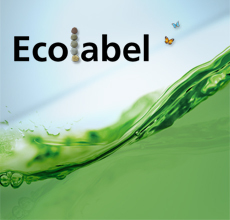 New study puts eco-labels to the test ~ Health Matters Today! A new report released today by the University of Victoria ranks eco-labels intended to distinguish seafood produced with less damage to the environment. It is the first study to evaluate how eco-labels for farmed marine fish compare to unlabeled options in the marketplace. Scale is a big challenge for eco-labels: For the most part, eco-labels are awarded based on an individual farm's environmental footprint. However, the cumulative environmental effects of many farms can quickly overwhelm the benefits of reductions in impacts by a single farm or small group of certified farms. "Our research shows that most eco-labels for farmed marine fish offer no more than a 10 percent improvement over the status quo," said John Volpe, Ph.D., a marine ecologist at the University of Victoria and lead author of the report. "With the exception of a few outstanding examples, one-third of the eco-labels evaluated for these fish utilize standards at the same level or below what we consider to be conventional or average practice in the industry." Supported by the Pew Environment Group, the study, which was reviewed by several independent experts, uses a well-established quantitative methodology derived from the 2010 Global Aquaculture Performance Index to determine numerical scores of environmental performance for 20 different eco-labels for farmed marine finfish, such as salmon, cod, turbot, and grouper. 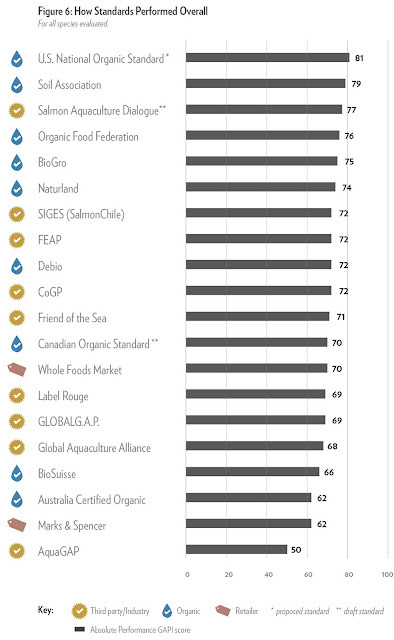 These scores were used to rank performance among the various eco-labels. The assessment did not look at eco-labels for freshwater farmed fish, such as tilapia or catfish. The authors used 10 environmental factors to assess the eco-labels, including antibiotic use, the ecological effect of farmed fish that escape from pens, sustainability of the fish that serve as feed, parasiticide use, and industrial energy needed in aquaculture production. "Eco-labels can help fish farmers produce and consumers select environmentally preferable seafood, but only if the labels are based on meaningful standards that are enforced," said Chris Mann, director of Pew's Aquaculture Standards Project. "Seafood buyers at the retail or wholesale level should demand that evidence of sustainability be demonstrated, not merely asserted." The report concludes that government policies and regulations, as well as effective eco-labels, are necessary to limit the environmental impacts of production.